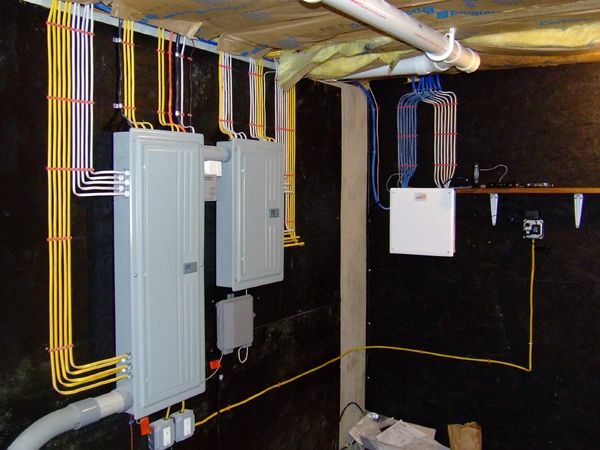 Home wiring is a broad term used by electrical contractors and the people in related fields. Are you looking for some basic but important tips for the electrical wiring of your home? If yes, you need to read the whole article and be careful about it! In fact, electrical wiring often involves danger, so there is no alternative to take adequate safety measures. It’s always better to hire a professional and expert electrical contractor for your home wiring. It’s recommended to choose a spacious area for your enclosure. As the enclosure will be the center of the installation, an ample space is required. For future expansions, the electrical contractors recommend to keep some extra space (about 20%) for it. Furthermore, you can think of subdivision boards if the house is newly built. For the enclosure, it’s suggested to use adequate terminal blocks. The quality terminal blocks are essential as they keep the wiring protected and organized. Moreover, you can use separators and label holders for them. The other advantage is that you don’t need to use a single spot for many cables. You should plan the termination layout of your equipment, cable and circuit protection, keeping the distribution board in mind. With the power supplies, the electricians recommend to keep the circuit board towards downside. Moreover, you may leave a bit of space for cable routing of the enclosure (both sides). On the right side of the box, the high voltage cable can be kept and on the left side, you can put the low voltage cables. It’s not a good idea to pick low quality cables just to save some money as the quality of the electricity system largely depends on it. Make sure that there is twisted pair and sturdy shield around the cable i.e. CAT6 or CAT7. These cables easily carry more power and boasts relatively lower voltage. Although it’s really essential to put labels on output and input cables, but some homeowners don’t give much importance on it. For setting up the configuration, labeling always comes handy. If you do proper labeling, the electrical system will be much easier to modify and remains flexible as well. So, these are five simple tips that you can apply in your home during electrical wiring. We recommend you to hire a reliable and professional electrical contractor to make the things done if you don’t have experience about wiring chores. Good luck with your home electrical wiring!